£21,500 excluding accommodation. VAT exempt. This triple-accredited, part-time executive coaching programme offers tools, techniques, greater self-awareness and insight into behavioural change. 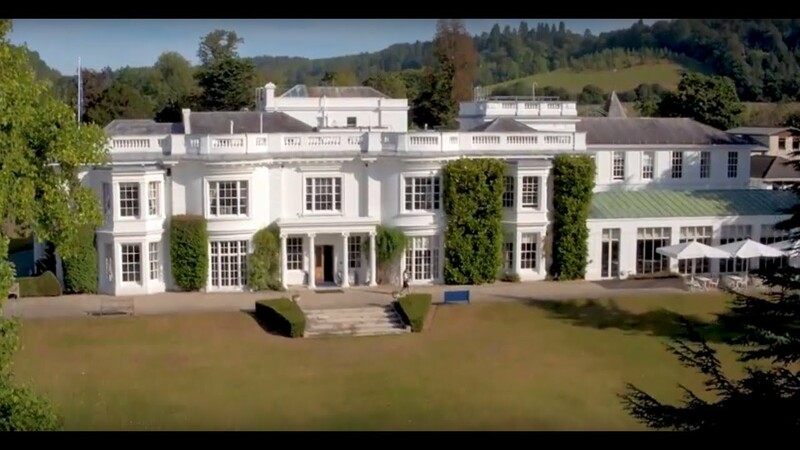 It is research-driven and led by inspirational tutors, and the in-person workshops at Henley Business School give valuable time for practising new coaching skills and reflection (including coaching supervision). The Henley Professional Certificate in Coaching (part of this MSc) is accredited by the International Coach Federation (ICF), Association for Coaching (AC) and the European Mentoring & Coaching Council (EMCC); recognising the quality of the programme experience. Organisations are increasingly looking to executive coaching - conducted by both dedicated coaches and line managers – to help their people work through challenging business issues. To contribute effectively, a coach needs the ability to align coaching objectives to business objectives. Your programme fee includes membership to The Henley Centre for Coaching (for the programme duration.) This provides benefits such as access to up to 10 webinars a year, networking opportunities, online discussion forums, coaching contracts, research and blogs. Who is the Henley MSc in Coaching & Behavioural Change for? For those who are using, and intend to develop further, a coaching approach either in a line management role or as a professional freelance executive coach. It is an effective programme for managers who may be seeking to build a business-focused coaching culture within their organisations and develop the impact of executive coaching. You will typically have a good first degree or an equivalent professional qualification, and a minimum of 5 years of management experience. We also welcome applications from candidates with substantial knowledge, experience and skills in a relevant field, who do not meet these requirements. An excellent level of English is essential and proficiency testing may be requested. Study is part-time, scheduled over 30 months with an additional 6 months for writing up assignments if required. In-person workshops are held at our Greenlands campus. This qualification is achieved in three stages. Successful completion of each stage is required before you can progress to the next. Exemptions from this stage are available for prospective participants who currently hold the Henley Professional Certificate in Coaching. Please contact us to discuss this. During stage 2 workshops you will review different models of coaching supervision, offer practice in coaching supervision skills and enable you to receive coaching supervision in a small group. You will complete a dissertation (topic of your choice) and a personal project (theme of personal development). This is an opportunity to experiment with, and practise, different approaches and tools whilst receiving support through ongoing feedback and coach mentoring. See the Henley Coaching brochure for more programme benefits for individuals and organisations. Coaching Corner: What can neuroscience tell us about leadership coaching? Henley MBA alumni are eligible for 10% discount off the programme fee for the Henley MSc in Coaching & Behavioural Change. There are a number of funding options, such as bank loans, available from external sources. Loans of up to £10,000 are available to eligible students studying for postgraduate Master's courses from the 2018/19 academic year. In general, students need to be domiciled in England. EU students, and individuals falling within certain specified categories, may also be eligible. You can apply for a loan through the UK Government website. You can read more about this scheme on the Student Loans Company website or on these two UK Government sites: Introduction of loans for postgraduate students and Government response to the Consultation on Support for Postgraduate Study. 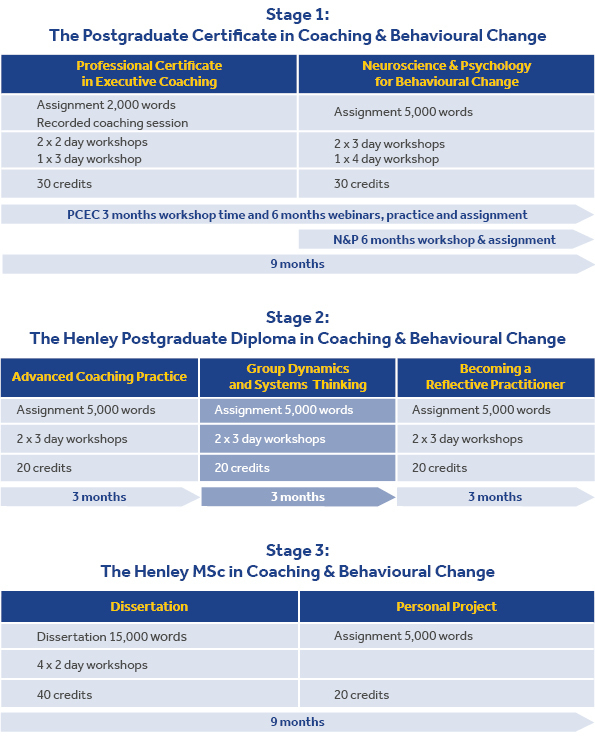 Henley MSc in Coaching & Behavioural Change is running on the following dates. Please select which date would work best for you.